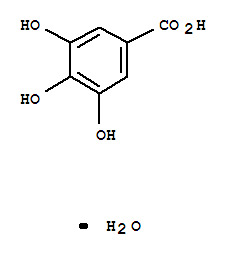 Gallic Acid is a phenolic acid with antioxidant activity. Gallic acid was found to protect human cells against oxidative damage and showed cytotoxicity against cancer cells. Gallic Acid and its esters also show antiviral and antifungal activities.